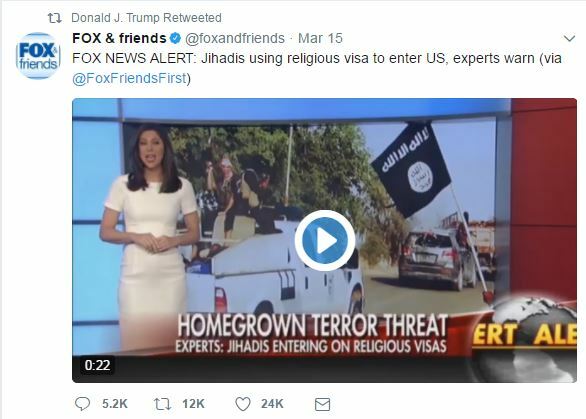 tweeted at Fox News (@FoxNews) 18 times. 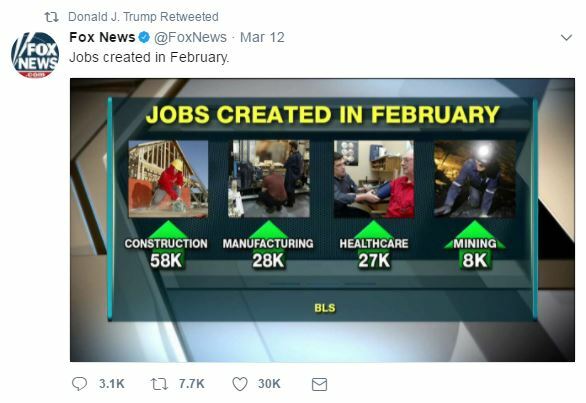 In addition, Trump has also shared at least 16 Fox videos and graphics, frequently using them to highlight Fox’s misleading portrayal of economic news, which has been framed to look positive for Trump. Trump also seems to nearly exclusively rely on Fox whenever he wants to share footage of himself from events and ceremonies, such as an inaugural ball, the signing of executive orders, and his speech at a NATO gathering. 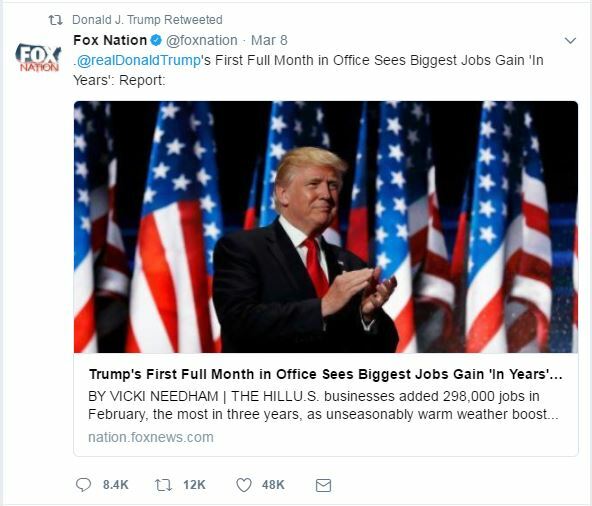 As president, Trump has also tweeted links to Fox stories more than to those of any other individual outlet, tweeting at least seven Fox articles. 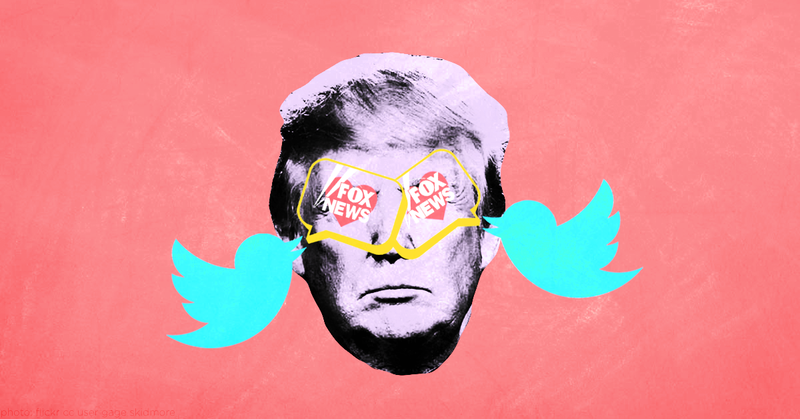 Trump on multiple occasions has even used his Twitter account to laud Fox’s reporting, saying “@foxandfriends is great,” referencing its “great reporting,” praising its segments, and congratulating the show on its ratings. 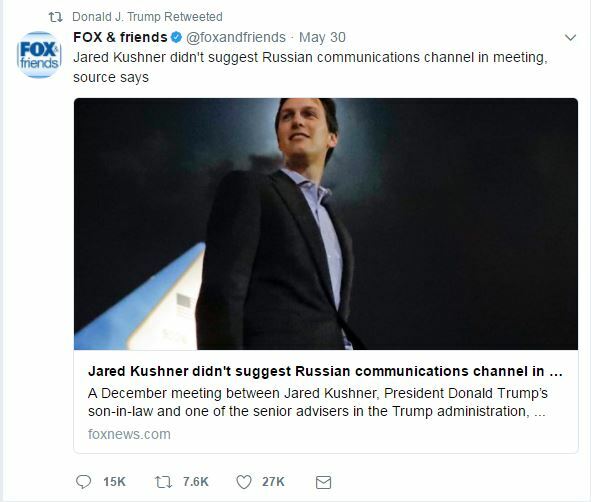 In return, Fox has at least on some occasions showed or read on air tweets by Trump that mention the network. 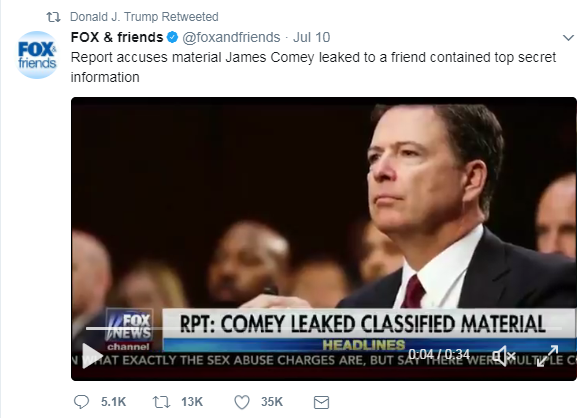 On June 16, Trump retweeted Fox News host Sean Hannity's tweet that he would have on his show a "monologue on the Deep State’s allies in the media." Perhaps what makes Trump’s online fawning over Fox most jarring is the sharp contrast to how he talks about other media outlets on Twitter. In line with his administration’s war on the press, Trump has regularly attacked other outlets by name, often calling them “fake news” and even once going so far as to call some media outlets the “enemy of the American People.” In July, Trump took his gripes against CNN to a new level, tweeting "I am extremely pleased to see that @CNN has finally been exposed as #FakeNews and garbage journalism. It's about time." The president also tweeted a video of him wrestling CNN to the ground and repeatedly called the network "#FraudNewsCNN." 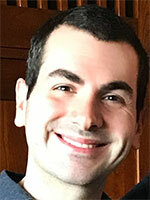 This piece was originally published on June 17 and has been brought up to date through July 19.